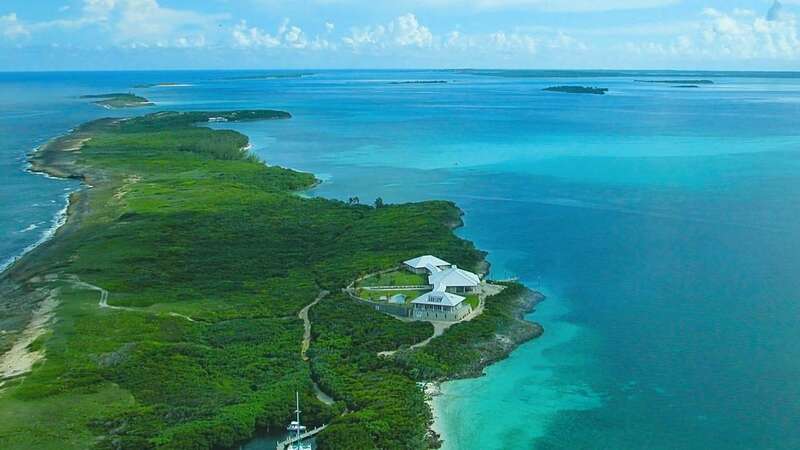 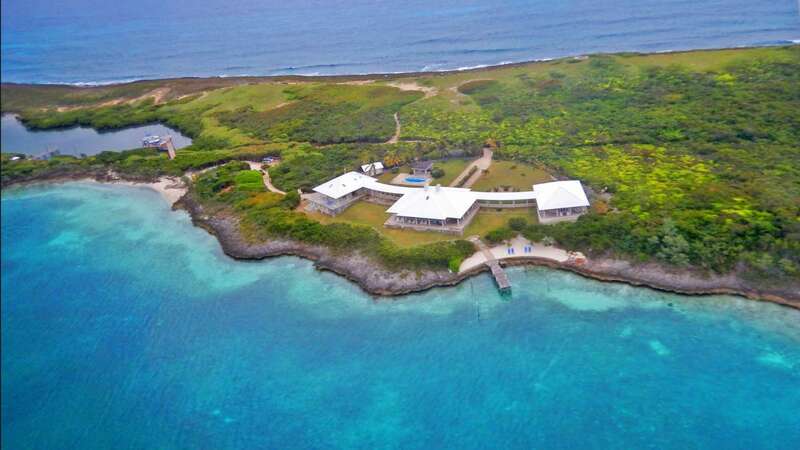 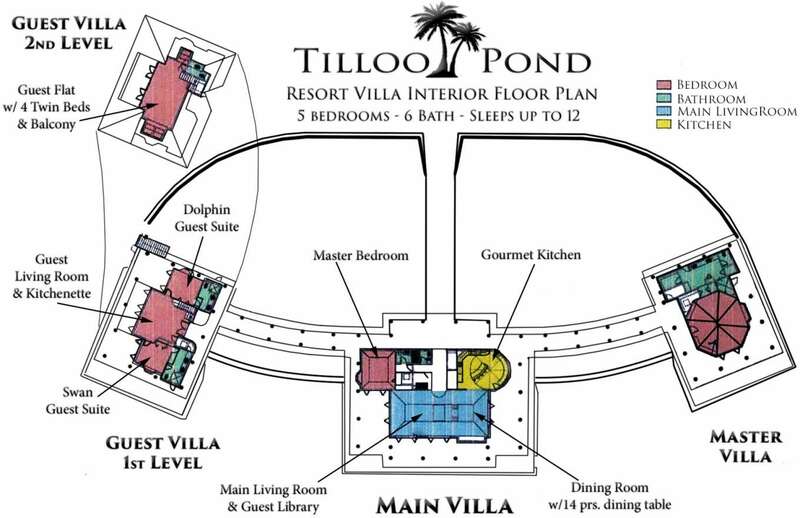 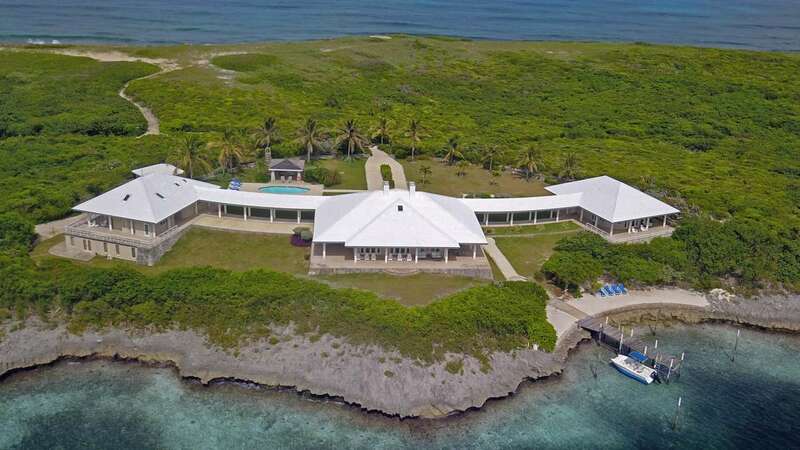 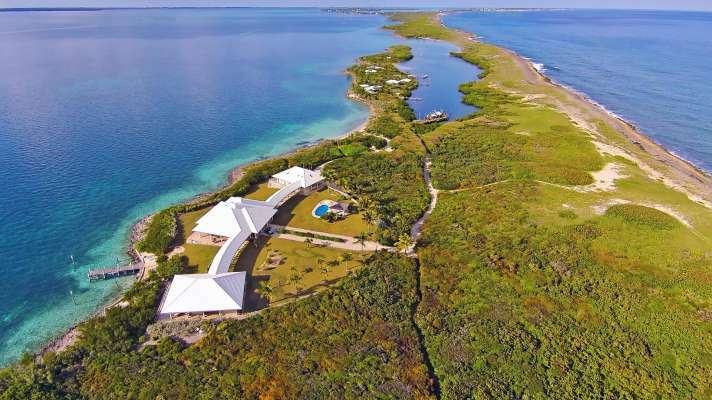 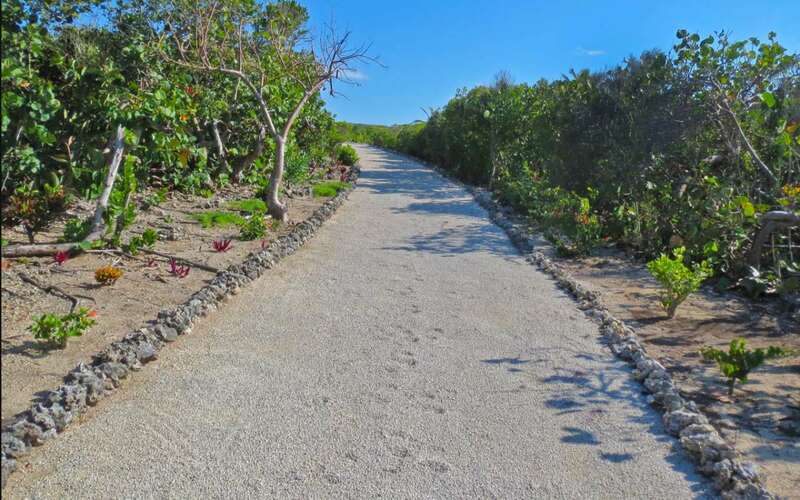 Tilloo Pond is a grand estate situated on the 11-acre private island of Tilloo Cay. 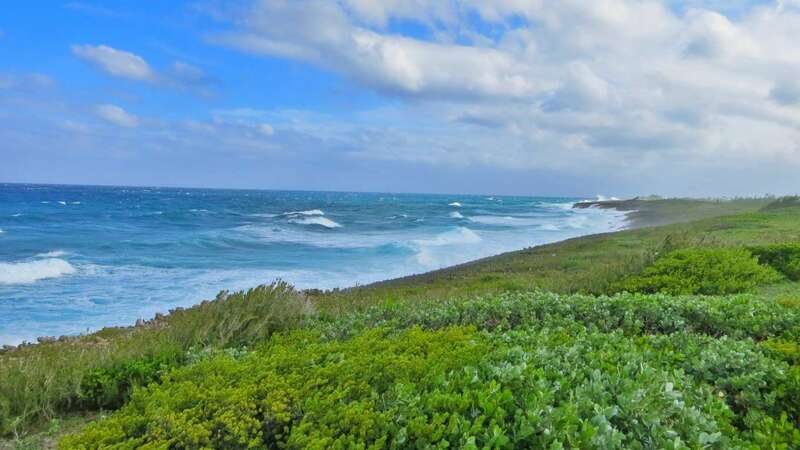 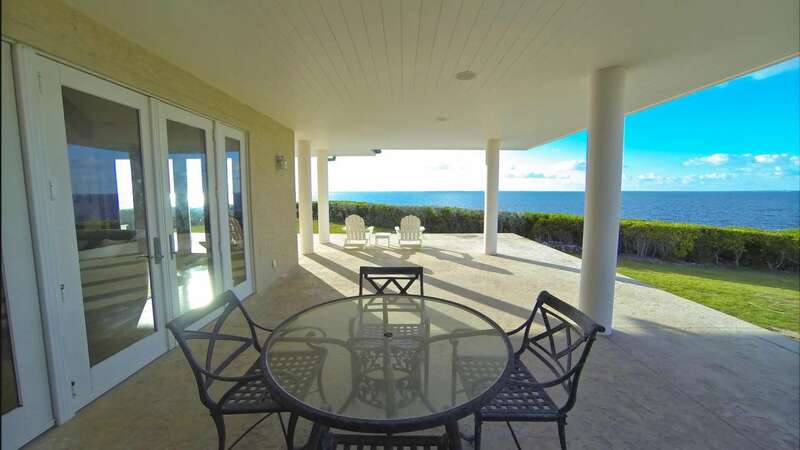 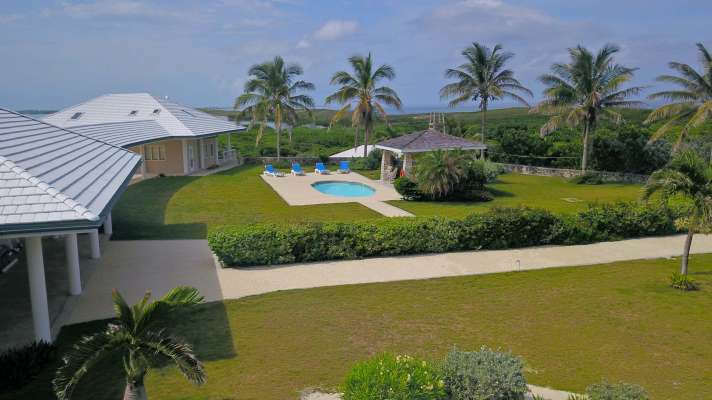 Resting in the Abaco Islands of the Bahamas and overlooking the aquamarine Sea of Abaco, it consists in three luxurious villas linked together with curving covered walkways and encompassed by wrap-around verandahs and lush gardens. The triplex measures over 5,400 square feet, housing up to 12 guests. 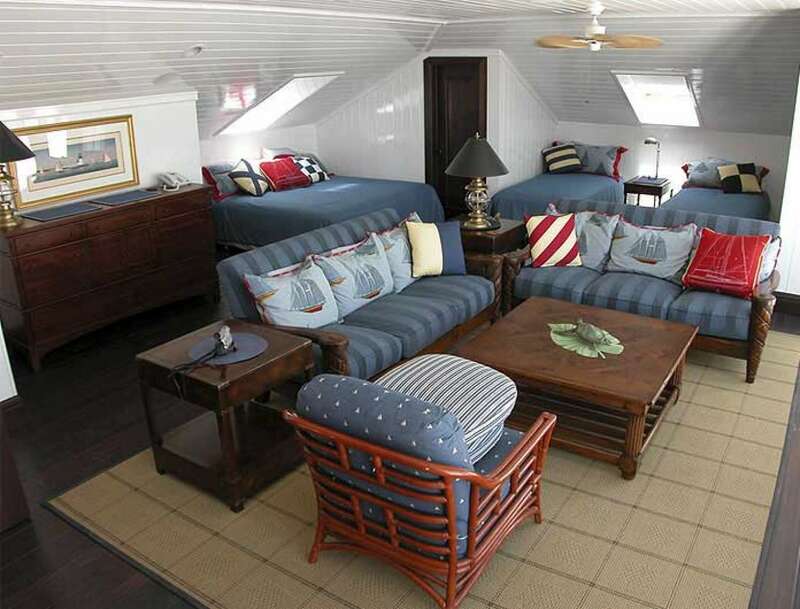 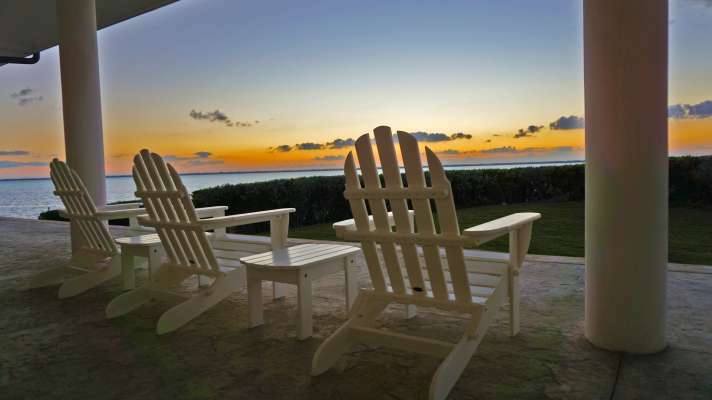 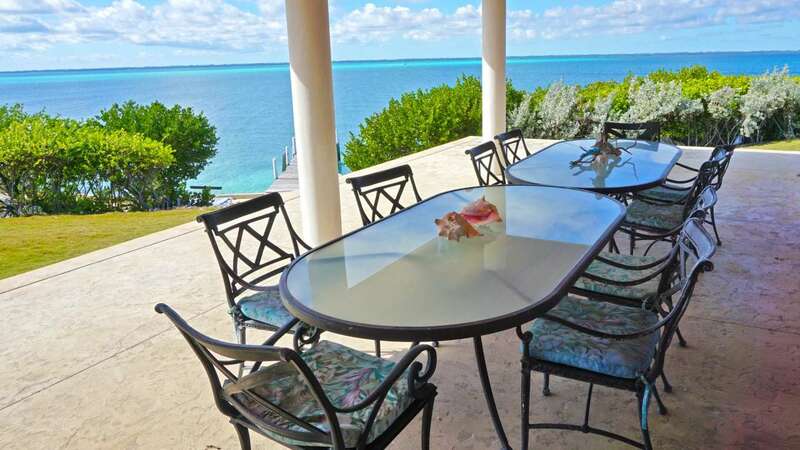 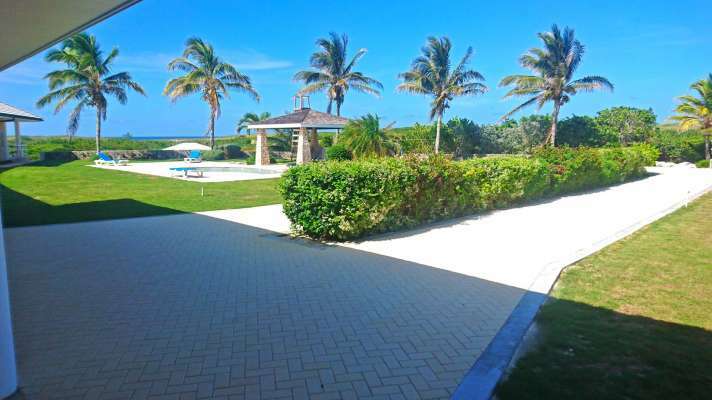 Featured on the property are a pool, private beach, massive sunset viewing patio, gazebo, as well as two private docks. 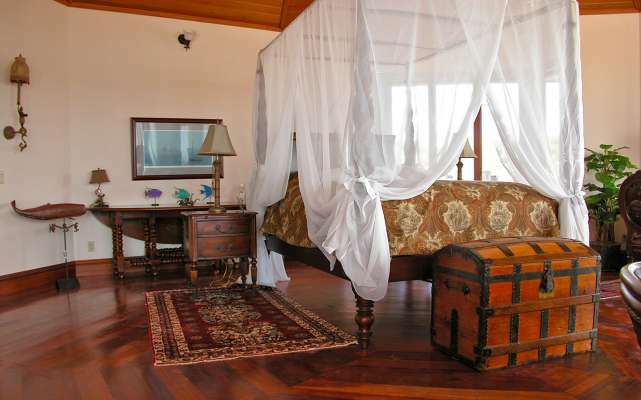 Adorned with beautiful art & furnishings imported from around the world and West Indies designer furniture. 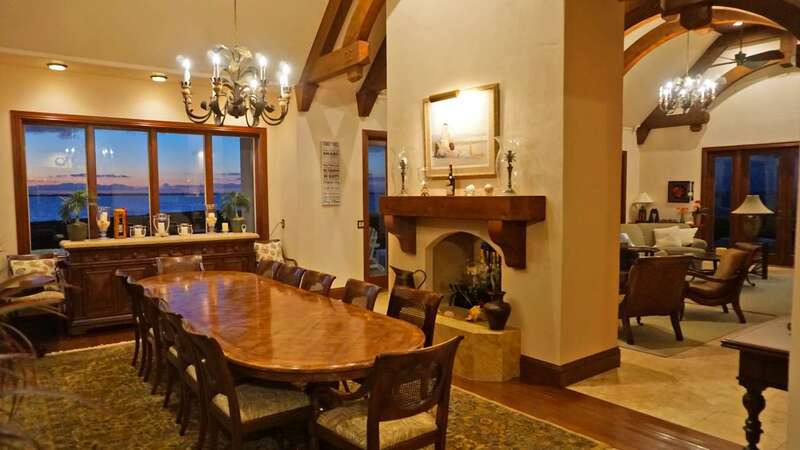 The primary villa splurges with vaulted ceilings, timber arches, travertine and exotic hardwood flooring, a double-sided fireplace, a formal dining room and a covered patio with breath-taking peripherals of the surrounding scenery. Its kitchen is suited with cherry cabinets, granite countertops, and an open breakfast nook. 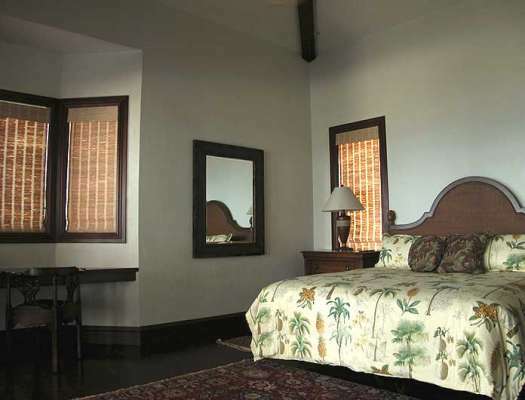 The main master suite exists as its own separate villa, cozy and secluded. 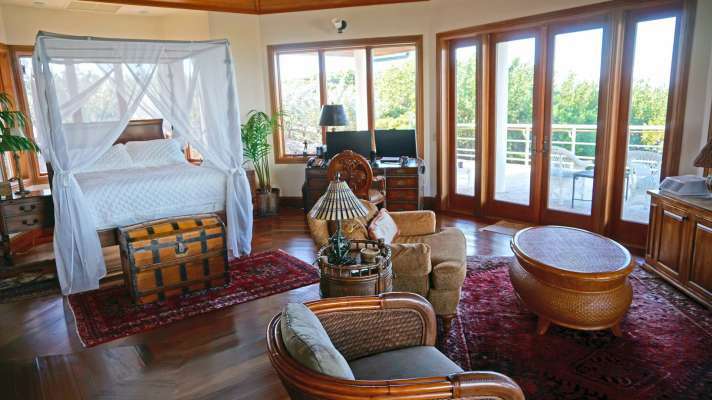 Octagonal in shape, it enjoys excellent island views. 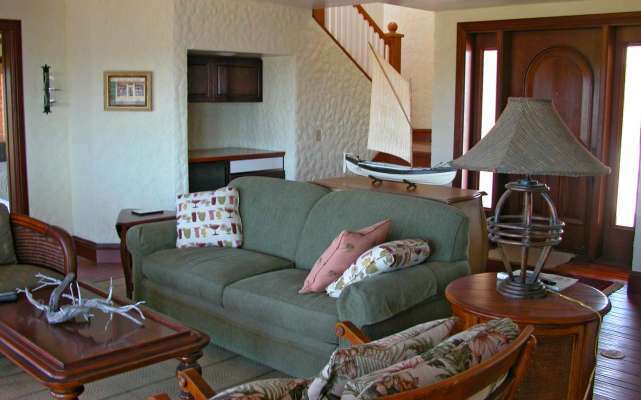 Featuring a sitting area and master bathroom with walk-in closets, double sinks, granite counters, and a double-sized shower, it makes for the perfect romantic hideaway. The third villa constitutes the estate’s guest quarters which has a family room, kitchenette, two suites and a loft suite with a private terrace. Caretaker housing is located below this villa. 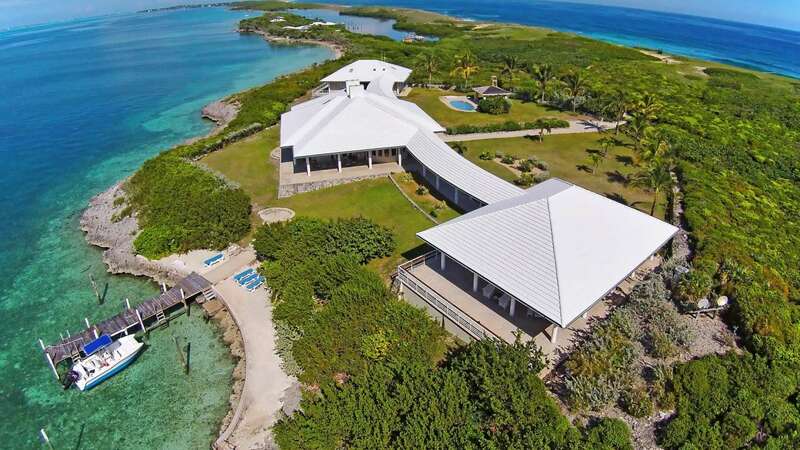 Both private docks are equipped with electricity and fresh water. 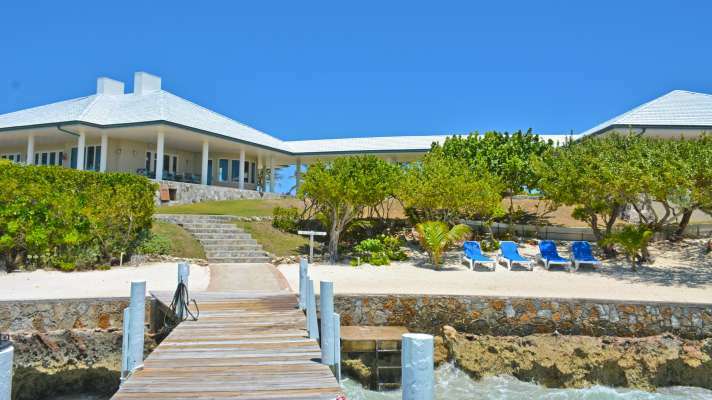 The front dock allows for swimming or fishing and can accommodate guests’ boats. 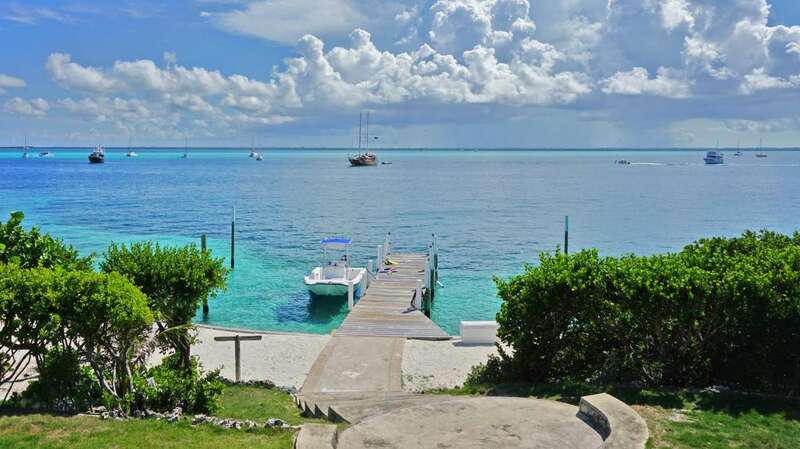 The second dock measures 230 feet has an entrance into the private harbour of Tilloo Pond. 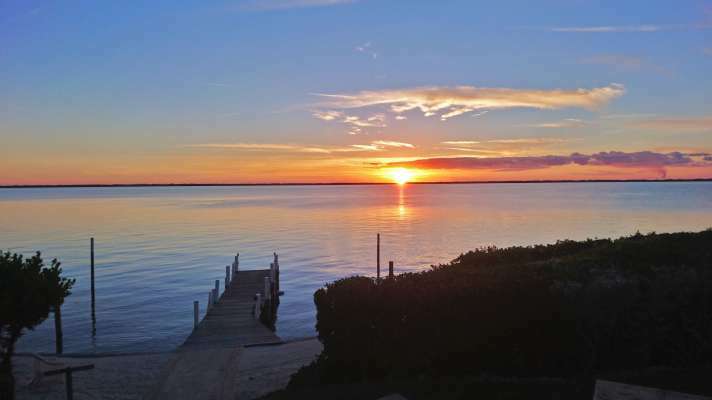 This dock is complete with 2 boat lifts, boat house, fish cleaning station and a gazebo with outdoor seating. Paradisiacal in its location, generous in its amenities and accommodations, and lavish in its decoration. Tilloo Pond is your chance to share the experience of pure luxury with your dearest friends and family.